Communicate your long-term vision for your lawn. Look at each landscape project as part of a process rather than a separate job with no connection to other things you’d like to do. Just as each chapter of a novel serves as a compliment to the overall book, so does each landscape project in its connection to your full outdoor setting. Stop and start planning can create extra expense. For instance, if you are installing a new patio and eventually plan to put in an outdoor kitchen, have the gas lines installed while the area is under construction rather than going to the expense of having to pull the patio up later. Your landscape professional can help create a master plan to allow you to create your ultimate outdoor setting, implemented in phases as your resources allow. Understand the importance of working with native flowers, shrubs and trees. These are the plants most likely to thrive in your landscape. Too often customers want the installation of rare plants or ones that were childhood favorites, without regard for what can grow successfully in their location. Temperatures, soil conditions and water resources should all be considered when selecting plantings for your landscape. Consider what time investment you want to make in your landscape after the installation is done. If you have little time to invest in your yard, make that clear so lower-maintenance shrubs will be considered. Or, if you have little time and need help to care for your landscape investment, talk to your contractor about a maintenance plan. Allow adequate time for your landscape project. If you plan to host your son or daughter’s graduation party on the new patio you want installed, make sure that is communicated up front and with enough time for proper installation. Once you are ready to begin your project, it doesn’t necessarily mean work will commence immediately. Permits may need to be secured, crews will need to be scheduled, weather considerations may need to be factored in and there may be a variety of other things that will affect the timing and successful completion of your project. Know your budget. This seems like an obvious one, but too often landscape professionals sit down with new clients who have given little (or not enough) thought to how much they’d like to invest in their project. An experienced landscape professional understands how to make the most of your investment so be realistic with your financial parameters. Also, understand what the billing process is. Will the project be billed in installments or at the completion of the work? Be sure to plan accordingly. Communicate any special community rules. While a landscape professional understands state laws and most city or town ordinances, they cannot be familiar with all neighborhood rules, such as those mandated by homeowners associations. 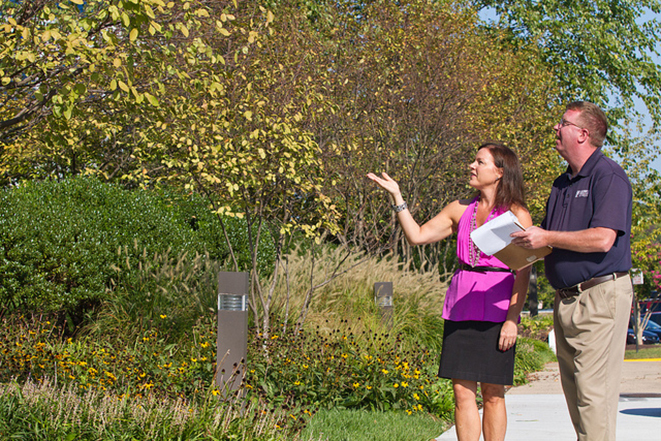 Be sure to communicate any parameters related to your landscape so your contractor can be sure to plan your project within established guidelines. Ask any lingering questions. 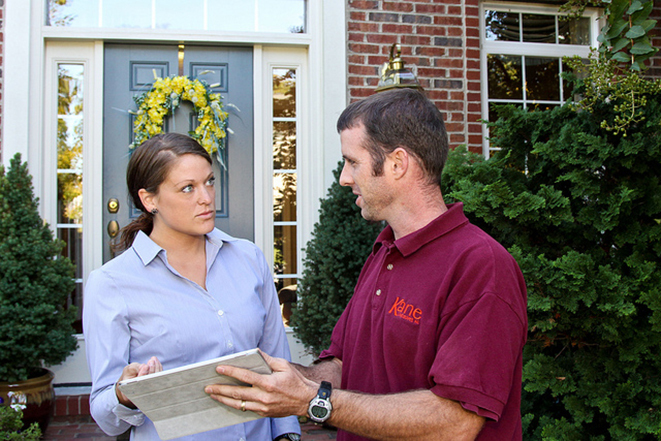 More than likely you have already asked a lot of clarifying questions in selecting your landscape professional; however, if there are any issues you did not cover, your first meeting is the time to get all remaining questions answered to your satisfaction. For instance, if you haven’t asked about insurance or licensing, now is the time to do so. Be clear on what projects your firm will do and what, if any, may be subcontracted out. It’s important to understand what project guarantees are provided. Remember that landscape professionals are outdoor enthusiasts and they want to help you enjoy your yard as an extension of your home. Consider them as trusted advisors for the living space you want to create and they will provide you with the expertise and knowledge to fulfill those dreams. For more information, visit loveyourlandscape.com.